They collect books, magazines, posters, and ephemera for inspiration just like many other graphic designers, but Kind Company’s Greg D’Onofrio and Patricia Belen aren’t your average graphic design hoarders. Their collection of book jackets by American designer Alvin Lustig, ads for Milanese tire company Pirelli, and classic design periodicals like the Swiss Typographische Monatsblätter are just a slice of the mid 20th-century graphic design the duo have amassed over a decade. With over 3,000 pieces of works housed within drawers, archival boxes, and bookshelves stored inside their 650-square-foot home office on the Upper East Side of New York City, the couple have literally built a house for modern graphic design. It’s a dream playground for lovers of graphic design: rare periodicals like Massimo Vignelli’s brand manual for the New York City subway, drawers of catalogues and brochures that Lou Dorfsman art directed for CBS, and close to everything—from logo sketches to magazines like U&lc—that Herb Lubalin designed in his lifetime. What’s even better than seeing these design classics in real life? 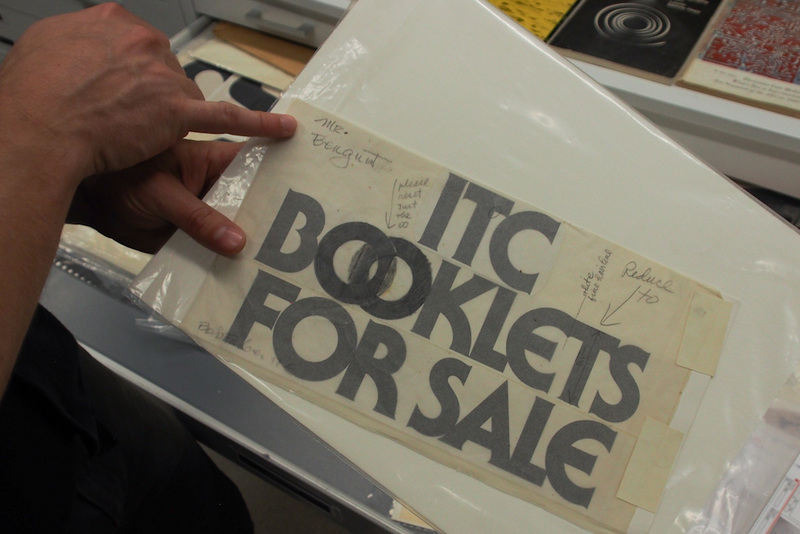 At the Herb Lubalin Study Center of Design and Typography, you get to touch them all. Located at the basement of The Cooper Union’s newest shiny stainless steel complex is this archive of some of the most significant pieces of mid-century graphic design from the United States and Europe.